Shatner’s Bascom, with Sid in the background and Jake in the foreground. 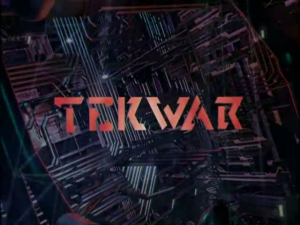 First and foremost, TekWar is one thing, and one thing only: a clumsy allegory for the war on drugs. The titular “Tek” is a virtual reality-like drug which is extremely addictive and forms the basis of criminal empires around the world. Our protagonist Jake Cardigan was a cop who managed to piss off the “Tek Lord” Sonny Hokori and was subsequently framed and “put on ice,” by which they mean literally cryogenically frozen as punishment. Except it doesn’t seem to be much of a punishment, since it fails to accomplish any of the things jail is meant to do, except separate you from your family and friends for years (from their perspective). Jake is thawed out and put on probation to work for the private security group Cosmos, run by Shatner’s character Bascom, alongside his buddy and former partner Sid. Cosmos is ridiculously powerful and for some reason plays a large role in these Tek-based cases. From there, Jake tries to put his life back together while romancing the android duplicate of brilliant scientist Beth Kittridge (played by Torri Higginson, better known as Weir from Stargate Atlantis). We also see Lexa Doig (Continuum, Andromeda) hilariously miscast as a Texan hacker called Cowgirl, necessitating an accent she can’t even begin to pull off. The show has some good ideas, even if they’re not the most original at times. Episode 3 of the series, for example, deals with a special Federal task force that goes outside the law, using warrantless tactics and torture to acquire information with an “ends justifies the means” approach. It feels far more relevant today, especially with recent news stories like this one. If only it were so easy to resolve in real life as it was in the show. On that note, there’s even a hilarious line in the same episode about “Our 45th president, Mrs. Clinton…” and episode 17 features a Tek-addicted mayor running for re-election (keep in mind, it was filmed in Toronto). If you like cheesy 80’s/90’s action shows in the vein of MacGuyver or The A-Team, you’re in luck. 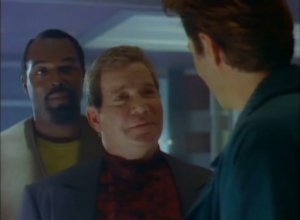 The show does seem to know what it is; Shatner’s character is a smug know-it-all type, playing off his public image of being self-important that has maintained to this day. There’s a lot of ridiculous buddy cop show banter to enjoy in that regard as well. TekWar kind of puts its characters in a weird place; As I described in last month’s Primer, cyberpunk characters are usually among the last independent actors, not belonging to the corrupt megacorps or the government that bows to them. Whereas in Total Recall 2070, the protagonists were fairly powerful government agents, TekWar has the protagonists working for one of the megacorps, and yet still being clearly portrayed as good guys (even if Bascom can sometimes come across as enigmatic or even slightly malicious). It also manages to keep its technology in mind, somehow. Holograms are introduced, and afterward come up frequently in situations where it makes perfect sense for them to be used. Heck, this is one of the few shows I’ve seen where they managed to get self-driving cars even close to right (although they still drive more often than not). 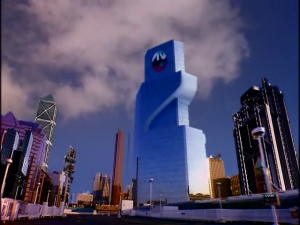 Top notch 90’s CGI, as always. 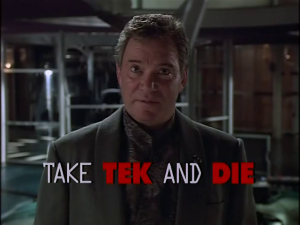 The production values on TekWar are pretty awful. The music is bad and even the sound effects are recognizable and cliche. The futuristic setting of the show looks suspiciously like Toronto circa 1993, and the only area of the setting that even kind of feels traditionally cyberpunk is the hacker den. The use of CGI is limited, but still just as bad as you’d expect for early 90’s (see above). None of the performances are particularly good, but a lot of the time the truly awful dialog is to blame. In the first TV movie, for example, Jake stumbles across the activist woman he’s been looking for, Warbride, standing in front of a cliff and explaining her name and plans to her followers. She might as well be shouting “EXPOSITION!” over and over again, for how subtle it is. And on that note, subtlety is one thing this show absolutely lacks. 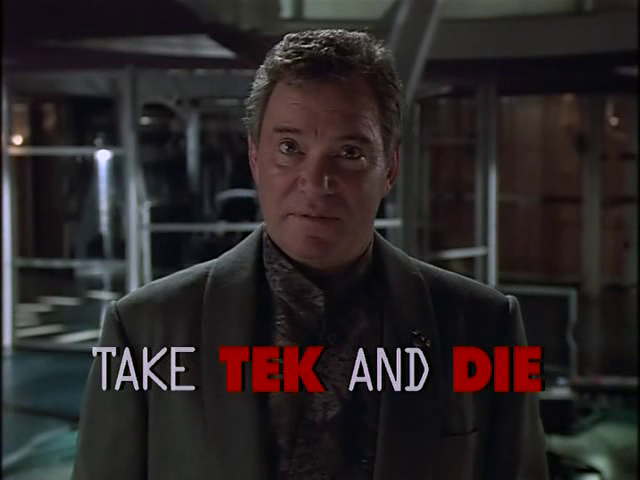 If you went through the script and replaced every instance of the word “Tek” with “Crack” or some other real drug, it’d probably make just as much sense. Another episode tries to tackle the “violent video games” controversy without any indication that anyone involved had ever seen one in person. So much of the show is cliche that you’ll probably guess every plot point from the first 5 minutes alone. Everything feels familiar, and that really drains a lot of its appeal. If Jake doesn’t like someone, it’s a certainty that they’re a bad guy, even if it makes no sense for them to be one. When they do try to get original, the schemes often get ridiculous, like using androids that run up and grab you and blow up as assassination devices. If that’s not a gigantic waste of resources and effort, I don’t know what is. Minor complaint: Jake’s gun is enormous, and yet we hardly ever see him carrying it. He just has it when he needs it and it’s gone when he doesn’t, without showing any kind of folding ability or shrinking or anything like that. He’s also the only one not using an ordinary gun with bullets, instead projecting some kind of force wave. That might be part of the terms of his parole, but either way: it’s silly. 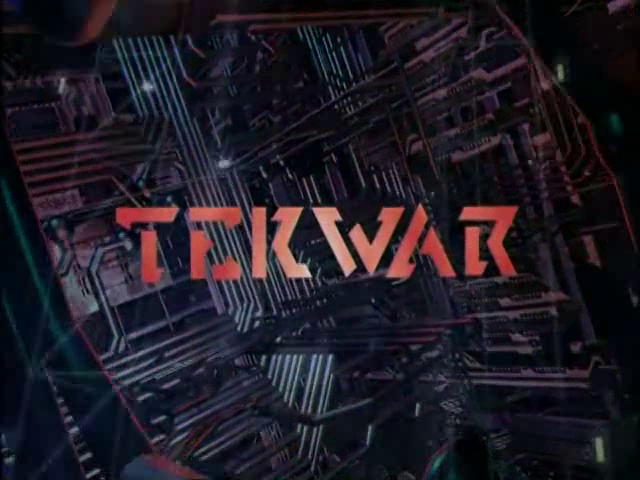 The four movies are, in order: TekWar, TekLords, TekLab, TekJustice. You can watch them on YouTube here. In my opinion, the series is better than the movies, but if you give the first few movies a shot and decide you don’t like them, then you won’t like the series, either. They just aren’t different enough to bother skipping ahead. The series itself lasted 18 episodes and is extremely hard to find, both on DVD and online, but I’m sure you’ll find it if you look. The DVDs are currently on Amazon, but it isn’t always. A quick reminder of my rating system: a 5 represents must-see–a “hidden gem,” as it were. 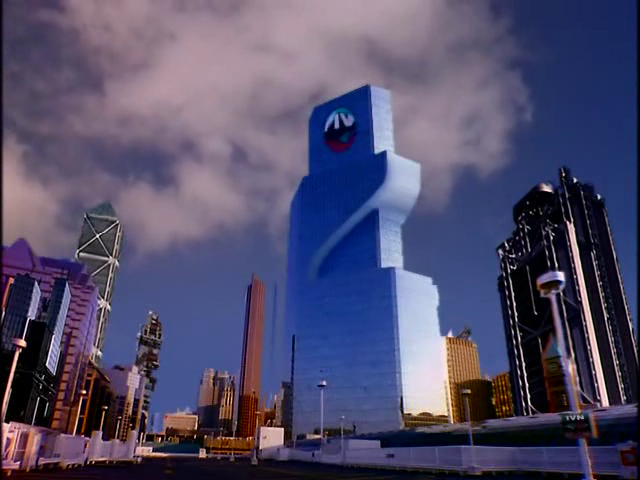 A 4 is good, solid television. A 3 is “cult classic” stage, where the show’s appeal is likely limited to a specific group. A 2 is flawed, but fun, or even “so bad it’s good,” depending on the series and its release timeframe. A 1, of course, is avoid at all costs. 2/5 UFOs: predictable, cliched 90’s action series, but not without its amusement value. Have any suggestions? Are there any little known shows you’re a fan of that you’d like for me to cover? Leave them in the comments, or send a tweet to @RetroPhaseShift. In the mean time, feel free to check out some of the previous entries in the Subjectively Obscure Sci-Fi Primer. To be notified of the next entry, you can subscribe to the RSS feed by clicking here. Just FYI, the whole “return of Winger” thing was actually addressed in the series. When he was brought back he did have a single line explaining how he’d been rebuilt and reprogrammed. For me, the biggest issue in the series was the disappearance of so many characters. Cardigan’s original partner was killed off, his original love interest had to leave (and he quickly forgot her and moved on), his son stopped appearing, even Shatner stopped showing up. So much of what had made the show start out strong(ish) just disappeared.